The New River Village comprising 622 owner-occupied or rented apartments was built on a 15 acre site alongside Hornsey High Street between 2005 and 2007 by St. James Homes Ltd. What was there before? This is an artificial watercourse opened on 29 September 1613 during the reign of King James I. Hugh Myddelton, a wealthy goldsmith from North Wales, championed the bringing of fresh water to London as the Thames and its tributaries were heavily polluted resulting in disease. Water was taken in hand-dug channels from a well in Chadwell Hertfordshire all the way down to Islington near Sadler’s Wells. It was Myddelton and others who set up the New River Company. He received a knighthood on the day the New River was opened. It was a great engineering feat. The land from Hertfordshire to London was on a gentle gradient and the ‘New River’ meandered along without the need for canal locks. As the crow flies this was a distance of 20 miles but the meanders made it nearly 40 miles long. It looped through the countryside until the Victorians straightened it out, tunneling the water channel under the new houses and roads. 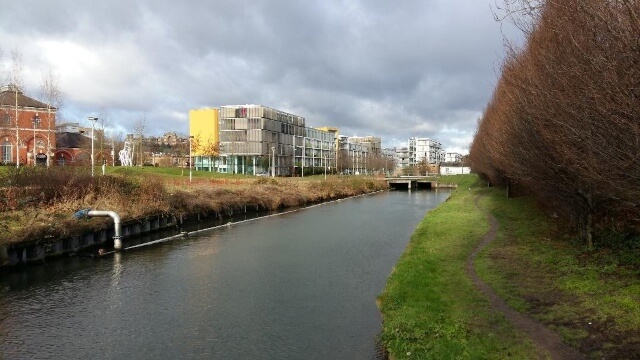 The New River Village lies alongside the New River Path.This is a route which follows the watercourse whenever possible from the starting point near Hertford to its original end in Islington. The section flowing next to the New River Village is easily accessible to walkers. New River Village (NRV) occupies a major part of the former Hornsey Water Works site established by the New River Company in 1859. The brick buildings associated with the works were the last constructed by the New River Company before the Metropolitan Water Board took over in 1904 and then Thames Water in 1973. The former Pump House, now a restaurant, and the Filter Beds’ site remain, the latter scheduled for development. The Pump House annex is now a Jehovah’s Witnesses Kingdom Hall. The NRV site is bordered on the east by the New River and on the west by Cross Lane now the boundary of the Smithfield Square housing development occupying the site of the former Hornsey Municipal Depot and Hornsey Public Baths. By 1935 the eastern boundary of the NRV site alongside the New River was the location of Allotment Gardens, now replaced by a pleasant footpath alongside the New River. In 1894 the NRV site was called Moselle Park reflecting the fact that the River Moselle, rising from sources in Highgate, ran across the site passing under the New River and the adjacent Great Northern Railway line in a 6 foot diameter brick culvert on its route through Wood Green and Tottenham to the River Lea. This culvert was exposed briefly in 2004 during the preparations for the building of the NRV. The Moselle was then re-routed in a new culvert to pass around the northern boundary of the development. 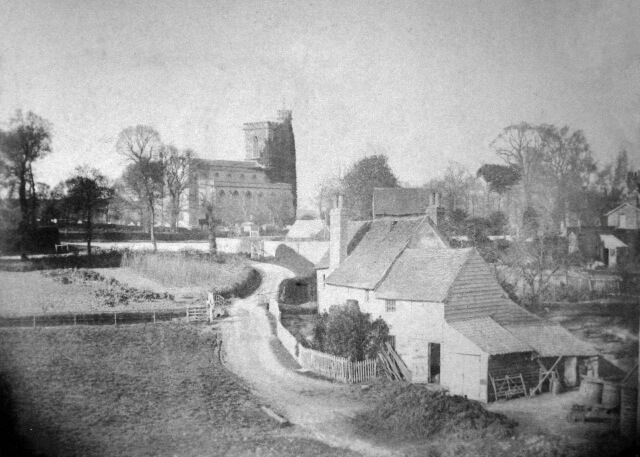 New River Village Today – courtesy Albert Pinching; The site of New River Village 1833 – HHS.